We are excited to introduce Connor Shah, our new fashion expert here at Campus Causes. With an extensive knowledge of style and a love for the fashion industry, he’ll be creating unique outfits to inspire you how to #ShopToRaise for your group – along with hosting a monthly Instagram giveaway. We caught up with Connor to ask him a few questions to help our community get to know him a bit better. CC: What is your fashion background and what drew you to the industry? CS: My fashion career started in high school when I first learned how to sew. Ever since then, my passion for clothing has grown larger and stronger. In college, I designed and hand-created my own fashion line and helped a few friends with theirs. When that ended, I decided to start my own jewelry company (www.kuyashiijewelry.com), which I am still currently doing. Other than my own entrepreneurial ventures, I have had a few fashion internships/jobs in the past at a sneaker startup called Kickster and as a brand ambassador for L.L.Bean. I will also be interning this summer as an Assistant Buyer for Ross Stores! For as long as I can remember, I was always fascinated by clothing. My taste refined over the last couple of years, but I have always been intrigued by the idea and beauty behind fashion, especially design and construction. When I was 14 I began collecting, reselling, restoring, and customizing sneakers. By the time I was 16 I had over 100 pairs of sneakers and was recognized as the 2015 Young Entrepreneur of the Year for my town. Shoes are what sparked my interest in clothing, and now I love both. CC: Who is your favorite designer and why? CS: My favorite designer would have to be Raf Simons. Unfortunately, I still can’t afford much from his brand, but if I could that’s probably all that I would wear. He has produced amazing clothes for Jil Sander, Dior, and currently, Calvin Klein. In addition, he created his own label with some pieces that are almost impossible to find. He does a flawless job in blending art, music, and subcultures into his clothing and most importantly, he draws inspiration from and believes in youth culture. CC: What/who would you say is your fashion inspiration? CS: My fashion inspiration are sustainable designers and brands like Patagonia. Even though I am not the biggest fan of their designs, I really respect what they stand for and how they are trying to make the fashion industry less wasteful and more sustainable. This idea is extremely important to me and to the fashion industry as a whole. CC: What would you say are some of the upcoming spring trends? CS: Some possible spring trends that I see becoming popular for both men and women are side-stripe trousers, straight-leg jeans, track suits, wallet chains, and technical jackets. CC: What extracurricular activities are you involved in on campus? CS: On campus, I am the Director of Event Planning for Rutgers FORM (Fashion Organization of Retail and Marketing) where I plan and execute creative events like our Rutgers Fashion Week where we hosted a fashion show, sponsored giveaways, fashion sketching events, trips to New York, and more! CC: Which Campus Causes campaigns really stood out to you and why? CS: I really love all the Dance Marathon Campaigns. I helped start up Dance Marathon at high school a few years ago, so it is nice to see people raising money for such an amazing cause! CC: Are you involved in giving back to your community/volunteering at all? If so, how? CS: I actually just came back from volunteering at my old high-school organization that first got me interested in fashion (FCCLA). I had the opportunity to judge a few fashion competitions and help set up as well. In addition, I currently work with Popcorn for the People, which is a non-profit organization that employs adults with autism and other disabilities and makes some delicious popcorn too! CC: How do you feel about the concept of shop-to-raise fundraising? 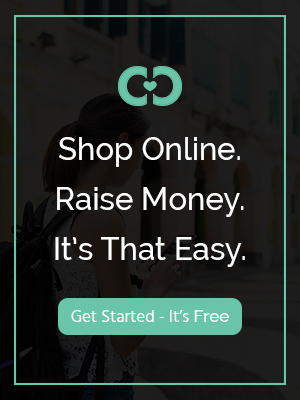 CS: I think shop-to-raise fundraising is a great and interactive way to raise money for any cause. A lot of organizations I know sell T-shirts or other apparel that in reality not a lot of people want to actually purchase. With shop-to-raise fundraising, people can actually buy items they want or that they were intending to purchase anyway. CC: What are you most excited about becoming the fashion expert for Campus Causes? CS: I am really excited to style outfits and to share my style and knowledge of fashion with the world. I am also looking forward to helping people upgrade their wardrobe through giveaways that Campus Causes and I put together! Stay tuned on Connor’s Instagram to enter for a chance to win $50 gift cards for you and your favorite shopping partner as Connor shares his knowledge of fashion and styles outfits from brands that are available to shop through Campus Causes.